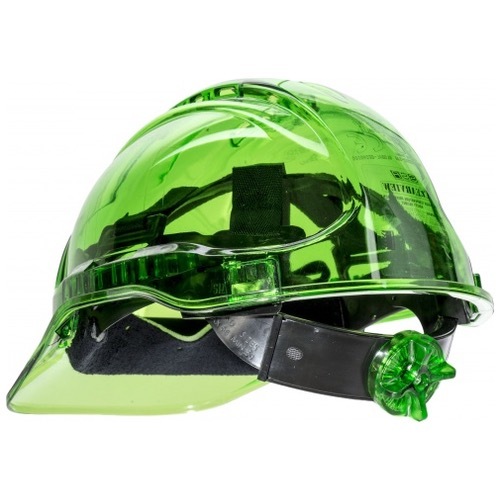 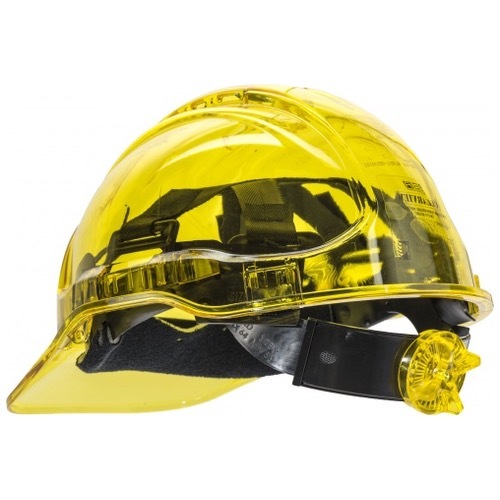 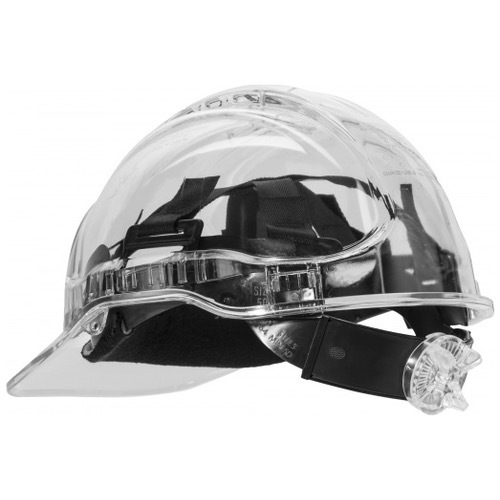 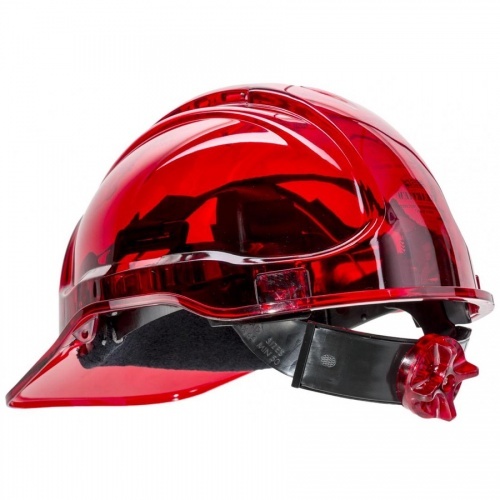 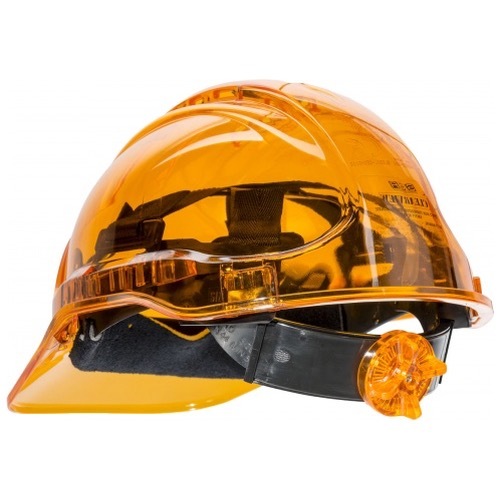 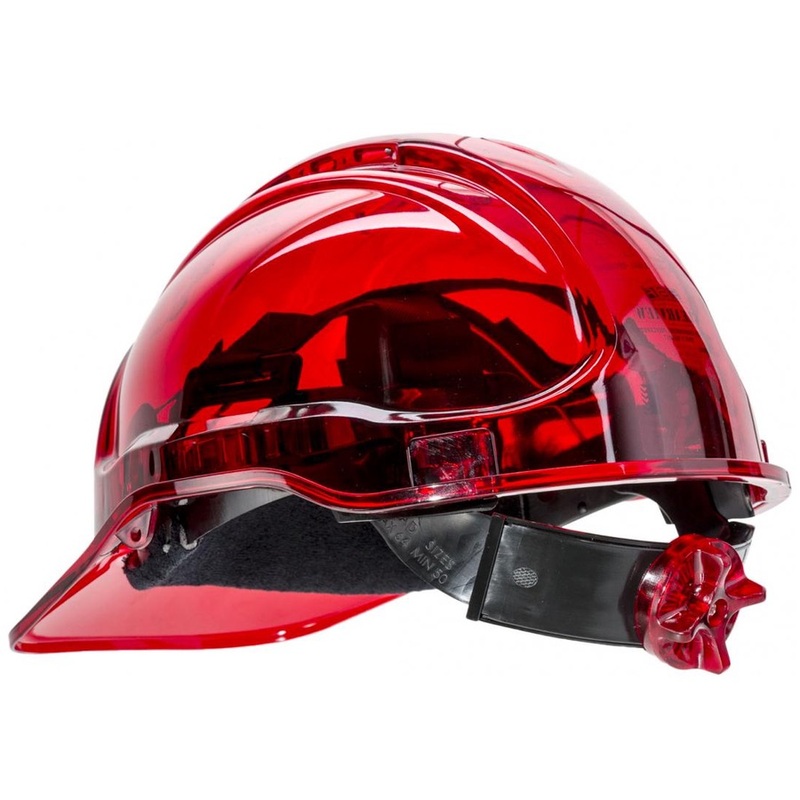 The Portwest PV60 Peak View Ratchet Hard Hat is a Portwest exclusive design and patented model. 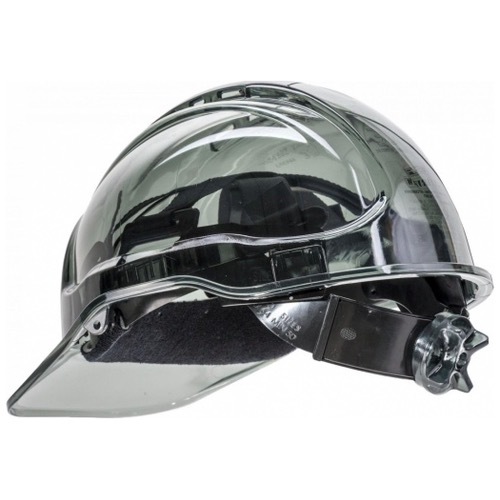 The translucent shell and see through peak and sides allow the wearer to look upwards without the need to tilt the head. 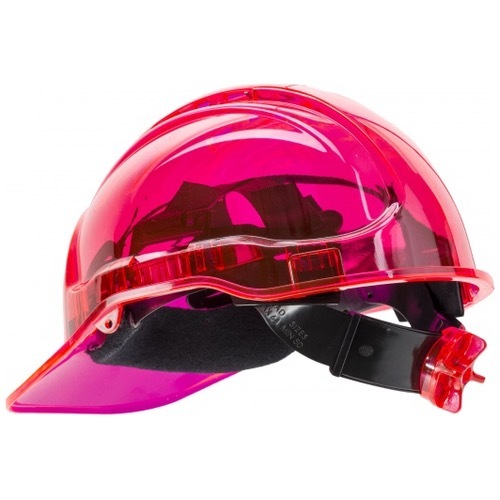 The extra strong yet ultra light weight polycarbonate shell offers UV rays protection. 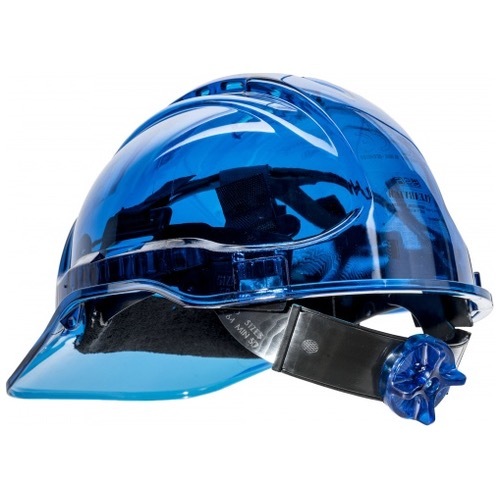 Other features include 6 points textile harness, wheel ratchet adjustment and a vented shell for extra air-flow, for added breathability suitable for hotter climates.